XJ-13 is a sativa-dominant strain cherished for both its therapeutic potency and enjoyable euphoric buzz. This hybrid cross of Jack Hererand G13 Haze induces unencumbered cerebral effects perfect for stimulating creativity and conversation. As if we needed another reason to love this lightweight sativa, XJ-13 consistently exhibits a strong citrus aroma accented by notes of earthy pine. 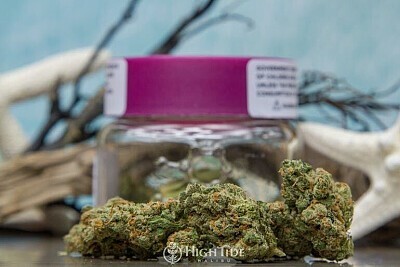 Novice consumers looking for an easy, paranoia-free experience can depend on XJ-13 as a surefire way to relieve stress and mood-related symptoms. Humboldt County Indoors is a Premium Indoor Flower Craft Cannabis Cutivator. Their grow facilities are powered by 100% solar and renewable energy sources. Their ethos is to provide clean, reponsibly cultivated artisanal Cannabis in starte of the art facilities with monitoring technology systems that ensure plant health and happiness.